So it’s my birthday in a couple of days time and I’m just chilling here like “whaaaaat”. Literally. I’m asking myself “What? It’s my birthday? Again?” I feel like I turned 30 just the other day. Life is but a breath and one should savor and appreciate every, single, moment. I’m still alive. And that means that I still have purpose and destiny. A few days ago I explained that I’ve somehow survived so many crazy things that almost snatched my life away – like that one time when I fell out of a moving vehicle. It made me remember a whole bunch of other things that I’ve overcome, which could have ended pretty badly. I use to be a party girl, in every sense of the word. I planned my days around when the next party would be. I mean, I had a full-time, corporate job, but I chose to do promos at club events on Saturday evenings just because I thought that doing promo’s was a party. I was THAT girl. Tequila was my thing. Tequila and Savannah (dry, with a lemon and a straw). Sometimes I would tequila it up so much that I would drive home, with 1 eye closed, just so that the road would stop spinning. 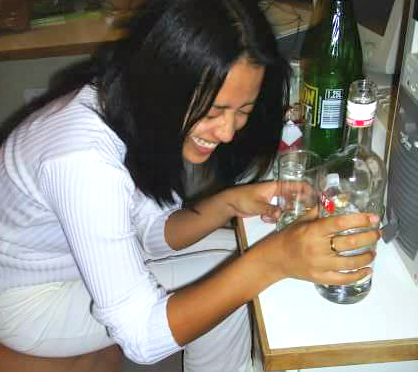 In fact, sometimes I would tequila it up so much that I had no idea how I even drove myself home the night before. It was bad. My friends would often follow me home to make sure that I got there in one piece. I thought it was hilarious that they would even want to follow me home, because duhhh I’m Luchae and I’m fine and just to prove a point, I’m going to swerve in the road, from one lane to the next, to give them the shock of their lives. To be honest with you, I should not have been allowed behind a wheel at all. And then one night I was at one of my favorite night clubs, when I met a very pretty girl in the ladies toilet. (Why do drunk females always make friends with other drunk females in the bathroom?!) We were queuing and fluffing up our hair in the mirror when I started chatting to her. Well, tequila started chatting to her. Luchae was somewhere in the mix. Anyways we chatted about how girls rule and how pretty we think the other one is and hey we should hook up and have a girls night one night! Yeah! Girl power! Whoop whoop! I got her name and details and we were meant to get together the next weekend. The rest of the night was a blur and I honestly can’t remember how I got home (as usual). But I do remember her coming to say goodbye to me, before she left with her boyfriend. The next morning, I awoke out of my drunken slumber and lay there scrolling through Facebook (because one does not simply just get out of bed the morning after). That’s when I saw the news: The pretty Indian girl, that I met in the que at the ladies restroom the night before, had been in an accident. She and her boyfriend lost their lives in a horrific accident, en route home from the night club. Their car was found at the bottom of a bridge. I was in shock and disbelief, a billion things running through my mind: How can it be? They seemed fine the night before! She wasn’t even as wasted as I was. How is that fair? We made plans! She was so young! Her life was snatched away from her, before her time… before she could even get married or have kids or enjoy a career. How was it that I was still alive… still around… when I had been treating my life like an old pair of sneakers, not caring how I was damaging it, and this beautiful girl had lost hers? If anything, her life and death was a big eye opener for me and I’d like to think that she served her purpose in mine, even though we had only been friends for all of a few hours. A couple of months after the incident I turned my life all the way around and have never looked back. 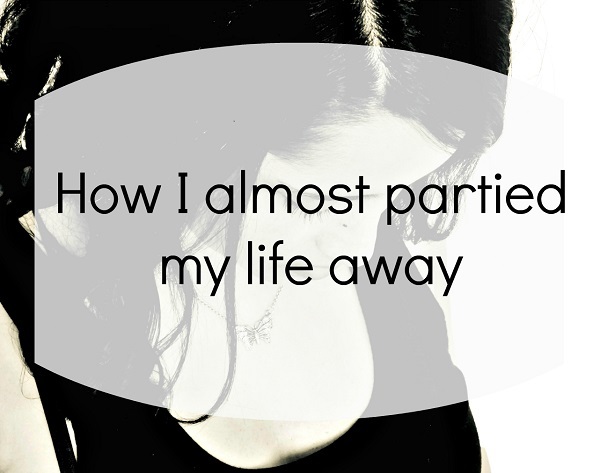 I realized that the alcohol abuse and senseless partying was a cover up – I had a hole that needed to be filled and those things were just temporary solutions that caused more damage than good. I’m thankful for a second chance and that God is able to make all things new. I am so grateful to be alive. Joh indeed, my friend, joh indeed. Wow. Such a thought provoking read. Ahhh thanks Naadhira 🙂 I bumped my head too many times not to learn from it! I don’t even know how to respond to this post. It’s just such a brave share. And while I have so many thoughts, which I’ve mentioned in my now erased comment, I will just say thank you. For sharing. So openly and honestly. Thank you for sharing this part of you. We all think we are invincible when we are young and sometimes it takes an horrific tragedy to pull us closer to who we are and who are can be. Glad that you are here. Amazingly honest. God Bless you. So glad I stumbled upon this blog!!!! Omw that story sounds soo familiar..
Was the pretty indian girls name perhaps Perusha? Yes it is, did you know her?